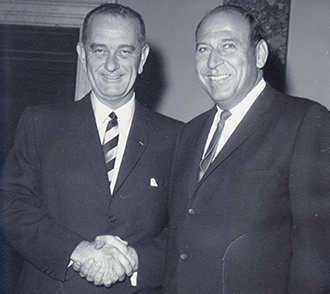 Jack Fleischer may perhaps be best known as the person who coined the phrase, "And now to honor America," that we hear so often before the playing of our national anthem at sporting events, but he is also remembered for his commitment to Israel through his support of Jewish National Fund (JNF). The proceeds of the many charitable gift annuities he established with JNF, were used to plant a forest in Israel in honor of his parents, Matilda and Julius Fleischer. Fleischer, who was born in Bridgeport, Connecticut, and passed away on July 21, 2015, in Palm Beach, was an ardent supporter of Israel, a JNF annuitant, and a member of its World Chairman's Council, a society reserved for donors whose lifetime gifts total $1 million. Through his generous donations, Fleischer wanted to have his parents' names permanently recognized in Israel by having trees planted in their memory. In establishing charitable gift annuities, Fleischer received a charitable income tax deduction, tax savings, income for life, and created green space in the land of Israel in honor of his family. 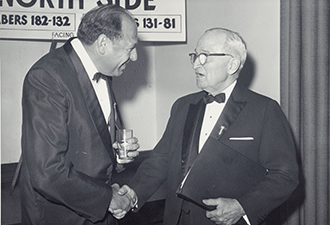 Throughout his life, Fleischer also donated and supported many other Jewish philanthropies. Fleischer's career in media and writing began at age 13. He served in the U.S. Army Air Force during WWII, where he was editor of the air base newspaper. Following the war's conclusion, Fleischer entered into media and politics. 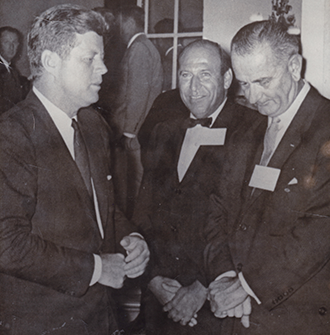 During his long career, Fleischer was the news director of Lyndon B. Johnson's presidential campaign, and later became the executive director of the 1962 Democratic Senatorial Campaign Committee. His work allowed him to develop relationships with powerful U.S. leaders and American presidents, including Johnson, John F. Kennedy, and Harry Truman. Later in life, Fleischer became a well-regarded sportswriter and authored two professional football books that have been featured in the Sports Illustrated Book Club. Additionally, Fleischer became the only member of the media to sit on the NFL Commissioner's Blue Ribbon committee, and he was also a member of the B'nai B'rith Sports Hall of Fame. For sure his legacy will endure forever because of his love of country: In 1970, Fleischer made history when he asked Super Bowl fans to rise for the national anthem, asking them to do so to "honor America." Those words have been a staple at all major national sports events since. Contact a JNF Planned Giving Specialist for a confidential charitable gift annuity illustration at 800-562-7526 or visit jnflegacy.org for more details.